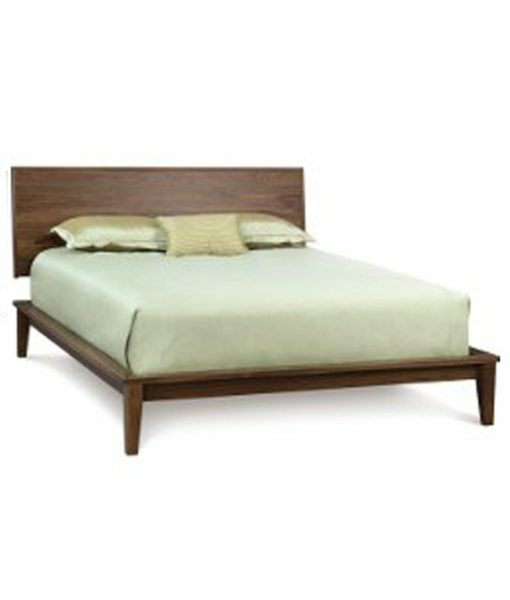 The SoHo panel bed is handcrafted in Vermont from sustainably harvested, domestic hardwoods featuring solid walnut or a combination of walnut and maple or cherry and is designed for a mattress only. You can choose your wood type and finish. Several coordinating pieces are available in the Soho bedroom collection.